Microneedling is one of the best ways to rejuvenate your skin, reduce acne, conceal scarring, and reduce the amount of oil produced by your skin. 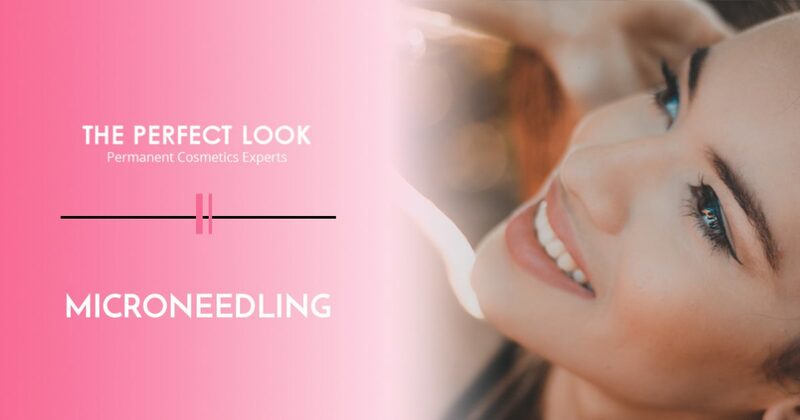 Read on to learn more about microneedling, and get in touch with The Perfect Look today to schedule an appointment at our Austin permanent makeup studio. Microneedling is the process of using extremely fine needles to puncture tiny wounds in the dermis, the layer of skin containing capillaries, hair follicles, nerve endings, and other important structures. Many people wonder why puncturing the skin in this way is beneficial, and the primary reason is collagen production. In fact, microneedling is also known as collagen induction therapy. When the microneedles puncture the skin and create microwounds, the body begins to produce new collagen and elastin, which both heal damaged skin and promote new tissue growth. This process also allows the skin to utilize nutrients up to 3000 percent more effectively, making it one of the best ways to improve your complexion and overall skin health. Hyaluronic acid is also applied topically during the treatment to provide the skin with deep, lasting hydration, and the microneedling process makes it much easier for the skin to absorb and retain this moisture. Pain is subjective, which makes it difficult to make blanket statements that will apply to each and every client. However, most patients report that microneedling produces very mild discomfort that subsides after the treatment has been completed. You will want to give yourself up to 24 hours to fully recover. Expect to experience slight pink and redness at the treatment site. When I will begin to see results? Most patients begin to see results within two weeks of their initial treatment. The effects can last for up to three months. Many of our patients choose to undergo microneedling as part of their four-step laser lift treatment. This proprietary treatment combines microneedling at a milder level to enhance the benefits of the next three steps of the laser procedure, which are all performed during the same appointment. One of the main benefits of combining microneedling with a laser lift is that you will not have any downtime and will be able to return to your daily activities immediately. This is ideal for those who cannot take time off of work, school, or their other daily activities to recover from a microneedling appointment. Schedule Your Microneedling Appointment Today! 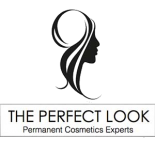 The Perfect Look is proud to be Austin’s trusted resource for permanent makeup, microneedling, and a variety of other skin and body care services. You can view a gallery of our past work here, and you can get in touch with us here to learn more about any of the services we offer. We know that many people have questions about microneedling and permanent cosmetics, so please don’t hesitate to get in touch with us to request more information.